The oldest active cup competition under the Mizoram Football Association (MFA), the LG Independence Cup was launched on late Wednesday evening here. The illustrious club competition will be played from Friday at Assam Rifles ground (Lammual) here. The final match will be played on 15 August on the occasion of Independence day. India International football star from Mizoram Jeje Lalpekhlua took the honour of officially launching the competition in the august presence of MFA and LG electronics officials and media. The luanch programme held at Hotel Regency here was attended by Amit Gujral, Chief Marketing Officer and Mr. Ranjit Kumar, MD - Task Team representing LG Electronics. 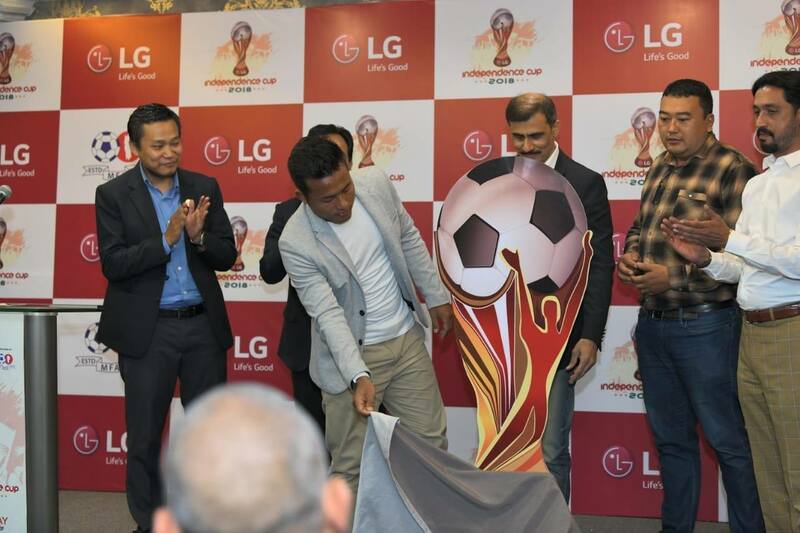 The mega football event is being organized by MFA in association with LG Electronics. Speaking at the launch programme, Amit Gujral said it is just the beginning and they will not stop at the Independence cup. “We are committed to the people of Mizoram, the youth of Mizoram. We would love to be a part of the upcoming footballing stars from Mizoram and have some kind of association in upbringing the football stature of Mizoram,” he said. The esteemed guests unveiled the new Independence Cup trophy which was followed by a tie draw for the 10 participating teams. This year's edition of the Independence Cup will feature the eight Mizoram Premier League clubs and ISL outfit Jamshedpur FC reserves along with Kanan Veng FC from the Aizawl District FA First Division. Independence Day Football will also be played by women teams, Miss Mizoram 2018, T. Ramthanmawii unveiled the jerseys that will be worn by the women teams, all of which are sponsored by LG Electronics.